Flipkart and Snapdeal command the kind of traffic that very few sites on internet can boast of. Around 100 million people visit these ecommerce sites on monthly basis, and with that kind of traffic, these sites are going beyond just being a marketplace. According to Mint report, both these Indian ECommerce giants are building large advertisement sales teams and beefing up the technology to serve advertisements based on the intelligence they have collected in regards to shopping habits of Indians. 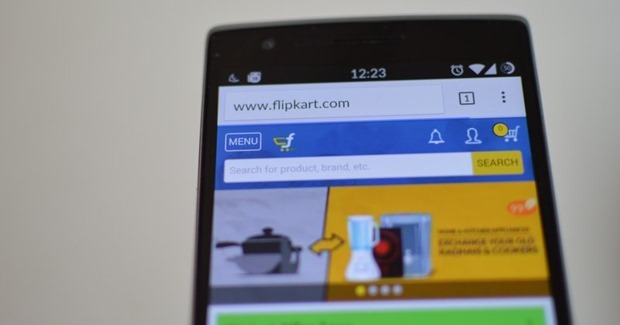 Here is what Flipkart and Snapdeal plan to do – They will be serving ads on their portal to the visitors either from the sellers on their own marketplace or brands that sell products. So, for example, if a seller wants to show a listing of their product on preferential basis, they will need to buy ads from Flipkart and Snapdeal. While one can argue, especially in case of Flipkart (because they have WS retail as their major seller), this makes sense because ad sales are sure to shore up their profits. Both Flipkart and Snapdeal have thousands of sellers on their platforms, and these sellers will always want their listing to show up prominently, which in turn will drive up their sales. Even from a brand perspective, it seems to be a pretty good offering. Let us take an example – If someone is searching for a Motorola phone, other brands can poach the interested visitors by showing of their product advertisements. Why this is great idea for Flipkart & Snapdeal? First and foremost, this will be an incremental revenue for ecommerce site. These advertisements are neither going to take visitors away from their site, nor are they going affect the number of transactions negatively. These are not going to be third party ads, but ads that will redirect traffic on their site from one page to another. But in doing so, the ecommerce site is going to make money. Even sellers and brands will love doing ads because they can laser target the users. For example, A Samsung can show their advertisement on a Gionee phone listing. There is a high possibility that visitor will click on it and give a thought to a Samsung product. There has been no confirmation about this from either Flipkart or Snapdeal, but in our view, this is a win-win proposition for all involved, including Ecommerce site, the seller as well as the brands. We will update this tory when we know more on this!